If Stevie Wonder and Sir Paul McCartney were to sing their classic "Ebony and Ivory" today, the duo could have been talking about the next generation iPhone model. 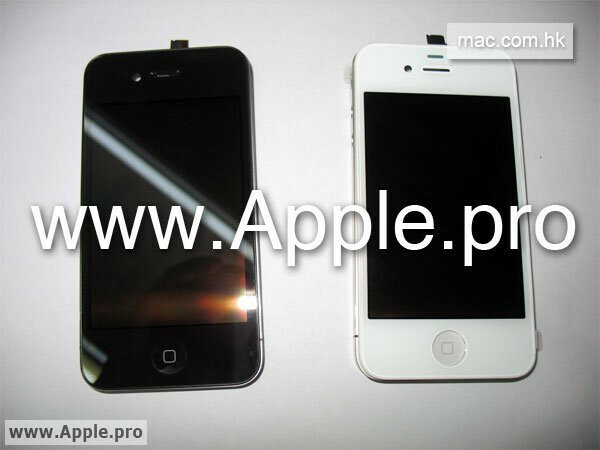 You might recall that just the other day, we told you about pictures of a white panel for the iPhone found on a blog in Vientnam-where iPhone 4G sightings have become numerous and couldn't attract more attention if it were the Lochness Monster being photographed. 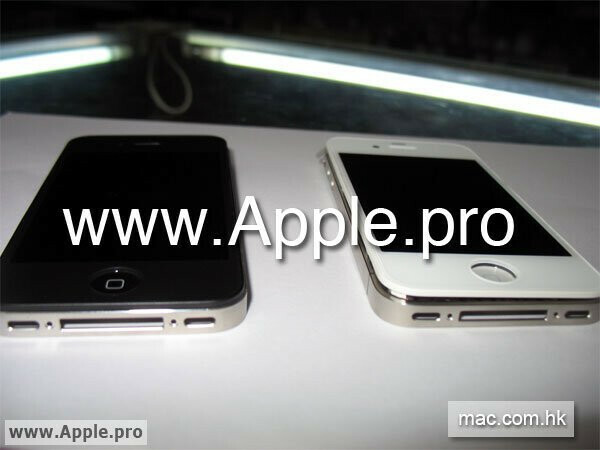 Whereas in the past, white iPhone models had black panels, these newer snapshots show an all-white front although you can tell from the "home" button on the white model that the cover has not been snapped into place. Also, you can see that the new casing leaves a small space for the front-facing camera. We have seen the black variant before, of course, starting with the unit that was found in that now famous west coast bar a few weeks ago. We have seen it in Vietnam and now in China with the white model by its side. In about 2 weeks, the next generation of iPhone should be introduced and all of the guessing will be over-until next year. LOL, ok, it may be CDMA for the networks in ASIA - sorry, you will never see one made for VERIZON until 2012. Never say never. Unless of course you are personally privvy to info we don't know about. You act as though the CDMA version of the iPhone isn't as marketable here in the U.S. Contracts are renegotiable. And I highly doubt you know personally what the specific terms of the contract were/are. I don't either, I'm just saying anything is possible. I agree with the Crapple remark, what ever happened to if you owned a mac your PC would have the state of the art hardware??? Now we're seeing the days of the Windows and Android revolution DROID will win and mac little mac will cry but not die they're here to stay because of their loyal fan base. 20+ million apple loyalists + just barely top of the line = 20+ million suckers. "Now we're seeing the days of the Windows and Android revolution " Until, Microsoft has a proven winner....leave windows out of the conversation....lol.